SKU: SE-1. 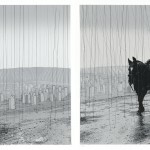 Category: Special Edition Portfolio (2014). 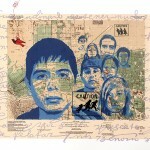 Tags: Alma Lopez, chicana art, Luchadora, Special Edition, chicana movement. Alma Lopez, like many Chicanas, grew up watching Lucha Libre with iconic, masked wrestlers like the Blue Demon and El Santo. Lopez’s current projects draw from this subject matter and involve research into Mexican female masked wrestlers of the 1970s and 1980s. 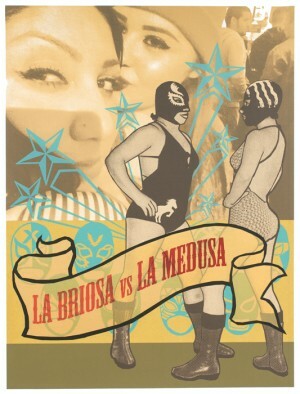 La Briosa y La Medusa is intended to mimic a traditional 1970s wrestling event poster with a focus on one of these female masked wrestlers, La Medusa. La Medusa was a woman born in 1958 in Coahuila de Zaragoza, her name was Alicia Muñoz Alvarado. At 17, Alvarado’s mother introduced her to live Lucha Libre matches after her family moved to Monterrey, Nuevo León. After witnessing a match between Chabela Romero and Toña La Tapatia vs. Irma Gonzalez and Lupita Lara, Alvarado was inspired to become a Luchadora herself. Without her parents permission, she began training with Bulldog Villegas and had her first fight in 1977. She lost her mask to La Briosa on May 27th, 1979. Inspired by the Luchadora story of Alicia Muñoz Alvarado, La Briosa y La Medusa focuses on the idea that by simply witnessing another individual succeed after following their own interest or dream, we can become inspired to follow our own passions, just like Alvarado was inspired to become a Luchadora after witnessing a live match between Luchadoras. In her practice and in relation to this theme, Alma Lopez will often think of girls, young women and their interactions with the world. In her print, Lopez has included a “selfie” of her nieces Melissa Lopez and Michelle Rios; two young girls witnessing the world and becoming inspired to follow their own passions. Alma Lopez is a Mexican-born Chicana from Los Mochis, Sinaloa, Mexico. She was raised primarily in Los Angeles, California where she currently resides. 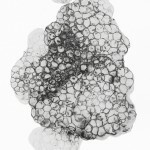 In 1988, she received a BA from the University of California in Santa Barbara, and in 1996 received an MFA in Art Studio from the University of California in Irvine. Her work is heavily influenced by Mexican and Chicano(a) art and murals, especially the pop art and graphics works by Chicana feminist artists. 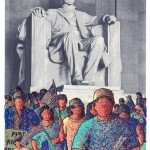 Lopez works in an array of mediums from acrylic painting, serigraphy, photo-based digital prints and video, and public art.